In an exciting move, Ally Bank has introduced its very first credit card: the Ally CashBack. This new rewards-earner offers something for everyone and makes a good competitor when stacked against other cash back cards, right off the bat. Before establishing their inaugural credit card, Ally Bank conducted a series of surveys to find out exactly what the market sought. Their findings? Of credit card-users surveyed, 58% said they preferred a cash back option over travel rewards, gift cards, or even introductory interest rates. On top of that, 80% of respondents said that if rewards were earned, they would prefer to hold various financial products — such as loans, checking/savings accounts, and credit cards — with the same bank, rather than spread them out. In an attempt to be beneficial to all cardholders, Ally eliminated rotating categories and gave its highest cash back rate (2%) to the categories that apply to pretty much everyone: gas and groceries. 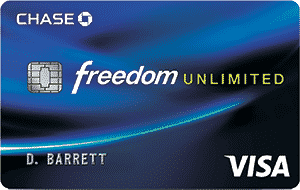 While there are cards that offer higher percentages for either category, they are often rotating (such as 5% back with Discover it® and Chase Freedom® during those promotional quarters). The exception would be my personal favorite, the American Express Blue Cash Preferred — which offers up to 6% on groceries and 3% on gas — though that card also includes an annual fee. For all purchases not involving gas or groceries, the Ally CashBack card gives 1% back. There is no limit on rewards and they do not expire as long as your account is in good standing. Bonus — If you’re a customer with the bank, you’ll receive an additional 10% cash back when you deposit your rewards into an Ally non-IRA Online Savings, Interest Checking, or Money Market account. This convenience factor is similar to Fidelity’s Rewards Visa Signature® cash back card, though that one does not offer a bonus for redeeming into existing accounts, as you’ll get from Ally. You can visit the Ally CashBack site to explore their cash back calculator. Enter your monthly spending on gas, groceries, and everything else, and it will tell you not only your annual rewards, but the potential bonus cash back for depositing in an Ally account. In the quest to be as competitive as possible, Ally is also offering introductory APR for balance transfers: 0% for 12 months. There is no introductory rate for purchases and the standard APR is 13.24-23.24%, depending on creditworthiness. The card comes with no annual fee, making its competitive edge just a bit sharper. Also, for a limited time, you will receive an initial spending bonus of $100 when you make $500 in purchases over the first 3 months of holding the card. Ally was named the Best Online Bank of 2016 and the number of customer-friendly benefits they offer with their products spills over into the new credit card domain. Namely, these include 24/7 customer service, as well as online and mobile access to all of your accounts. No card is perfect, and the Ally CashBack is no different. While it offers a 0% balance transfer APR for 12 months, it does not have a 0% purchase APR, like the Chase Slate® card or the Blue Cash Everyday® Card from American Express. Its 2% cash back on groceries and gas is a solid offering, though other cards may offer more at times. For example, Chase Freedom® and Discover it® with CashBack Match™ both offer 5% back on both gas and groceries — the caveat being that those are rotating, quarterly categories (so, you don’t get that rate year round). For some, the Blue Cash Everyday® Card from American Express may be the best option, with 3% back all year on groceries and 2% all year on gas (all other categories get 1% back). Whether the Ally CashBack is the card for you depends on where you spend your money, but it’s certainly worthy of consideration. It will be interesting to see how the new Ally card competes in the cash back arena, but my gut tells me it will be a strong contender right out of the gate.